Join us for a special live performance by Al Strong, leader of Durham’s Art of Cool All-Star Band, paired with a discussion (with museum staff) of Michael Ondaatje’s book, Coming Through Slaughter. The book tells the story of the unrecorded father of jazz, Buddy Bolden, and brings to life the city of New Orleans during the jazz era. Celebrating America’s earliest pop music, Al Strong will perform exciting selections from the early jazz repertoire of New Orleans. This event complements the major exhibition “John Akomfrah: Precarity,” a three-channel video set in New Orleans that examines the life and times of Charles “Buddy” Bolden, the first person known to have explored the sonic tonalities of the music we now call jazz. 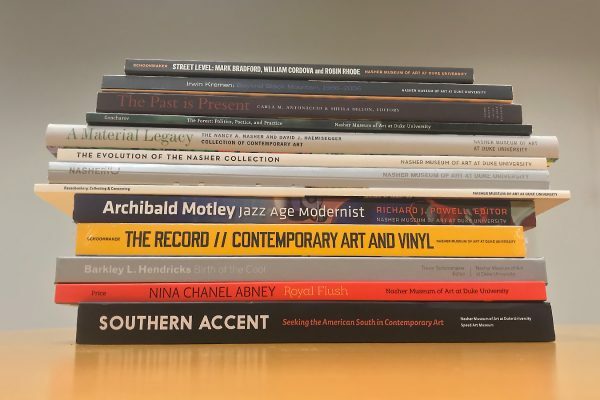 Books are available for purchase in the Nasher Museum Store. Free with admission. Portrait of Al Strong by Chris Charles — Creative Silence.